When investing in precious metals, a common source of confusion is reporting requirements for various forms of payment. The Anti-Money Laundering legislation is, like most legislation, boring to read and can be tricky to understand. It was introduced as a part of the Patriot Act as a way to catch more money launderers. Few people have the time to peruse it and others claim they understand the laws yet use counterproductive schemes trying to avoid getting reported to the government. People ask us all the time about whether we report their purchases to any government agencies and the answer is no, but there are activities that can draw government attention to you. We often have to explain to clients that trying to avoid mostly benign reports results in greater attention to them, so here’s a breakdown of why we have certain policies and advice on how to protect yourself. Cash is a more private way to buy products so many clients opt for this method. This behavior can sometimes qualify you for reporting under the FinCEN requirements. Most simply, whenever you withdraw or deposit $10,000 cash or more at your bank, they are required to file a Cash Transaction Report (CTR) with the Financial Crimes Enforcement Network (FinCEN). Now FinCEN sounds scary and it is because it is the agency that goes after people who violate the Anti-Money Laundering regulation. Most people have in mind drug traffickers and other unsavory types when they think of money laundering, but common law abiding citizens and even banks often get caught in their snares. According to FinCEN’s latest available numbers (2011), banks and others filed over 57,000 CTRs a day or nearly 15 million that year. It’s likely much higher each year since then, but when our office tried to retrieve more up to date data the calls to FinCEN went unreturned. While a CTR is a notice to FinCEN that you transacted a large amount of money, it doesn’t draw specific attention because that activity is perfectly legal. It is an aggravating invasion of privacy, but not particularly harmful as some media sources would have you believe. The report is there should you become interesting for some other reason. 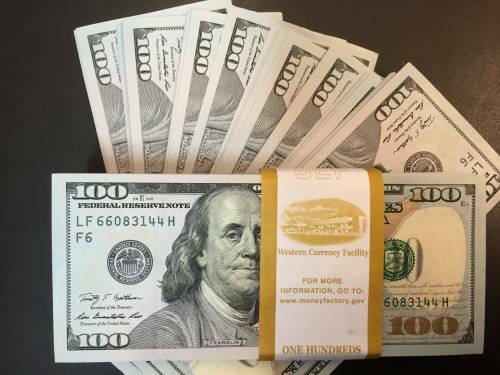 Our policy for cash payments is that we do not allow cash transactions of $10,000 or more because we do not want to have to file a CTR. We promote client privacy this way and wish to keep FinCEN out of our business with our clients. One of the ways individuals become interesting to FinCEN is by making multiple transactions below the $10,000 limit, appearing to intentionally avoid the CTR. When you do this, it is called structuring. Structuring is not a way to avoid the hammer of the state and in fact will get you more notice than just transacting $10,000 or more at one time. You know what it looks like to FinCEN when you structure? Suspicious; very, very suspicious like you are trying to hide something and they don’t like that. Don’t like the CTR report – tough! You are not allowed to duck! Since we are as much under the thumb of FinCEN as banks, we are also required to report any suspicious activity, such as if a client proposes a series of related cash purchases under the $10,000 limit in order to avoid reporting. Don’t ask. When people engage in activity that looks like structuring it is classified as suspicious activity and the bank is compelled by FinCEN to file a Suspicious Activity Report (SAR). They have no choice to do this, by the way, because FinCEN also goes after banks that do not report CTRs or SARs and hits them with huge fines. We fall under the same requirements as banks and are subject to the same scary annual compliance training course that banks undergo. A SAR is much more serious than a CTR and people get caught up because of the mistaken notion that the CTR is a more serious threat to their privacy. Many people know about CTRs but maybe not SARs and the kicker is that by trying to avoid a CTR, you will likely get hit with an SAR. Ways to appear suspicious include withdrawing multiple amounts from a single bank under the $10,000 reporting threshold over a short period of time or withdrawing these smaller amounts from multiple locations and accounts. You are not notified by your bank if they file an SAR but you may find out in an unpleasant way. What happens when FinCEN follows up on a SAR? You may come home to government vehicles parked outside your residence and agents from FinCEN ready to ask you many very invasive questions. You might get a phone call instead. Both of these things have happened to our clients. If you think a CTR is invasive, what happens when they investigate a SAR is intrusive on a much deeper level. They will ask you to provide evidence of what you spent that cash on or ask to see the cash if you claim it was not spent which means disclosing your privately held assets (like precious metals if that is what it was spent on) to a government agency. Basically, you’ll wind up having to disclose a lot more personal financial information if you conduct activities in order to avoid the more benign Cash Transaction Report. Because we believe in client privacy, we feel compelled to warn our clients about these reports as it is a frequent mistake people make and not just with investing. We are so serious about this that we strictly enforce the less than $10,000 limit on cash transactions and have refused business from potential clients who even mention wanting to engage in suspicious activity. The good news is that the more destructive SARs are easy to avoid. There are no gimmicks or ways to outsmart an agency like FinCEN and though people have tried, they have found themselves under the boot side of the state. Make no mistake—you should never attempt to structure in order to avoid a CTR. You are better off withdrawing the amount of money you need for your specific transaction from a single account or multiple ones if needed but do not establish a pattern that makes it appear you are trying to duck. You’re not allowed to duck and we’re not allowed to assist you in ducking. Simply paying by check, bank check or wire transfer never requires any sort of reporting for any amount so long as the check is from you and made out to the end party. So the honest and direct answer is to just follow the regulations for your own personal protection. Don’t be fooled by people saying CTRs are more draconian than they actually are and that they can be avoided by what amounts to structuring. Furthermore, don’t trust sources that talk about FinCEN regulations if they are not in the financial industry and actually familiar with the policies. There’s no magic words you can say to avoid investigation if FinCEN wants to take it that far but you can avoid that scenario entirely by simply following the (in our opinion invasive and unjust) law. We Don't Feed the Banks. Copyright © 2019 Roberts & Roberts Brokerage. All rights reserved.